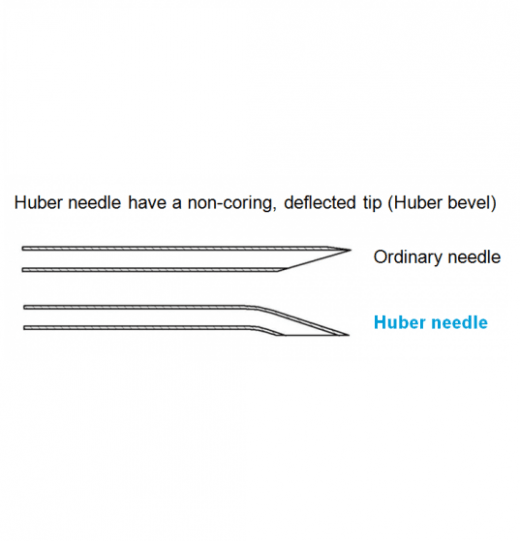 Huber needle have a non-coring, deflected tip (Huber bevel). 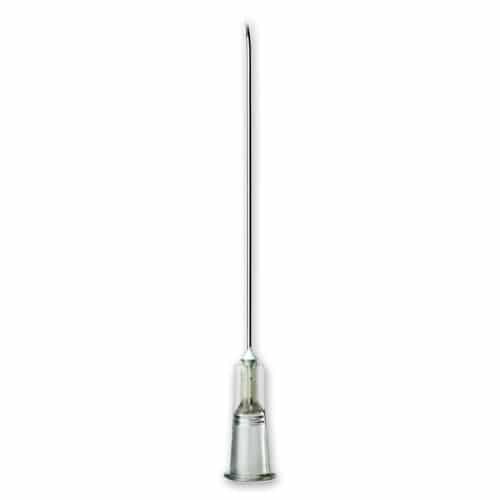 It is the best suited for injecting liquids through the implantable catheter port, during the adjustment of the gastric band MIDBAND TM. 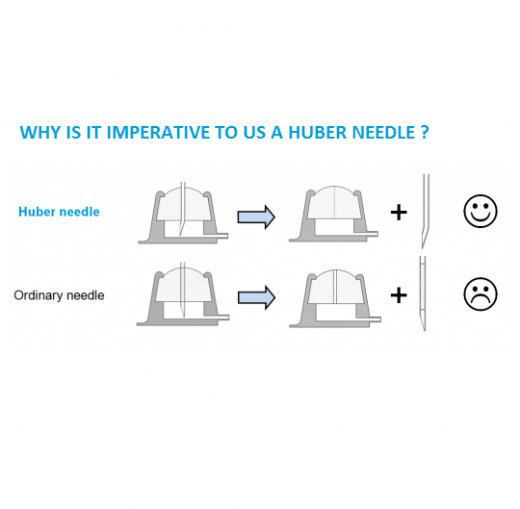 Why is it imperative to use the Huber needle? 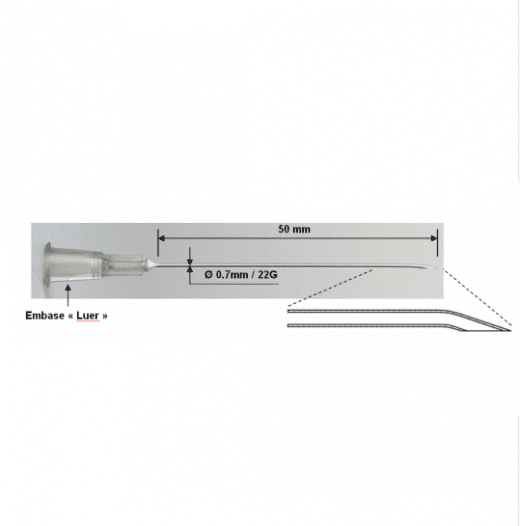 They are designed to minimise, or eliminate, coring of the silicone septum, and possible resulting leak.